The papers reported this week that David Beckham who loves his Long Johns is bringing out his own range in time for Valentines Day and we would love to know if you would buy your partner a pair. Also please share your Valentines Day experiences with us and let us know if you celebrate in a big way with Decorations, Balloons and Presents. We are looking forward to watching The Only Way Is Essex when it returns on Sunday and we have already been given a taster this week seeing photo's in the paper of a Fancy Dress Birthday Bash which looked great. We would love to know if you will be watching on Sunday and what you think of the show. Having just settled my son into University, this week now sees the start of Freshers Week and partying. 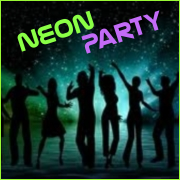 It all began last night with a Neon Party and lots of Glow In The Dark Hair Gel. We have been reminiscing in the office about the days of balancing partying and lectures!! We would love to know if you or your son or daughter has started Freshers Week and how the partying is going. My son is off to University this weekend and amid preparations there is also the excitement of Freshers Week to look forward to and he has already bought his tickets to all the Events and Themed Parties. We would love to know your Freshers Stories, whether you went yourself or are preparing for your son or daughter to go. Cats and Dogs in Fancy Dress has been our interest in the office today after reading about Battersea Cats and Dogs Home holding their annual reunion where a Fancy Dress Contest was part of the procedings. 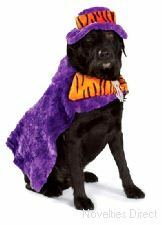 We would love it if you would share your funny Dogs and Cats stories with us and even some funny photos of your pets in Fancy Dress Costumes.